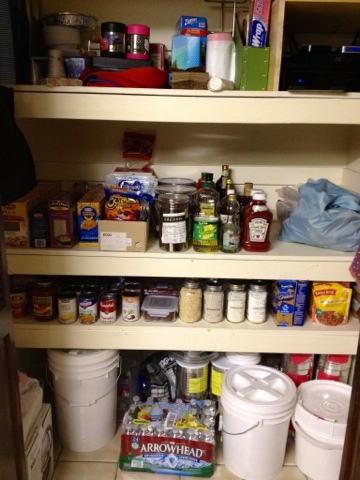 I don't have a before picture, but I assure you - I LITERALLY feel 15 pounds lighter when I open the (dusty, creaky) accordion doors and gaze upon my newly organized pantry! What did you all do on your day off? Very nice!! I took a nap on my "day off". It felt pretty darn good.